In 1953, Lesney Products began selling small diecast toys in boxes similar in shape, size, and style to matchboxes; and thus, one of today’s most popular toy companies was born. Matchbox has sold a wide array of toys, ranging from large diecast models to action figures and plenty more. You’re probably familiar with their current packaging design, reconstrued in the 1980s to match the “blister pack” aesthetic of other toy companies, specifically Hot Wheels, by packaging their merchandise in cardboard and plastic, so interested parties could easily see exactly what they’re getting inside. Presently owned by Mattel, the Matchbox brand is still going strong. They’re notorious mostly for their action vehicles and automobile playsets. Creative, high quality, and with a little something for everyone, Matchbox brings a solid set of products to the table each and every year. If you have a mini car enthusiast, consider adding to their collection with some of Matchbox’s most popular and beloved items! Below, you’ll find the top ten Matchbox Cars and Playsets available today. These miniature die-cast replicas and playsets are all tested and well-rated by hundreds of users, so you know exactly what you’re getting. With so many different styles of cars and setups, your kids will be zooming around the house, caught up in their favorite imaginative games in no time at all! For those kids who are just fascinated by the garbage and recycle trucks this one is ideal. Not only does it have the original features of a garbage truck, such as having an actual trash can and recycle bin, but it also mimics one. The little vehicle has the lift arm that works, to take each container up then flip it over. All a child needs to do is push down the simple to manage garbage lever to see this facsimile happen. If that isn’t enough, it makes all the sounds of an actual garbage truck as well. All a child needs to do is push it along, and the sounds start to emanate from the vehicle. Provides excellent gross motor skills as a child controls the truck with their hands. Due to the many features that the vehicle has, it will engage a kid’s sensory perceptions. The dump truck is quite colorful which makes it visually appealing. 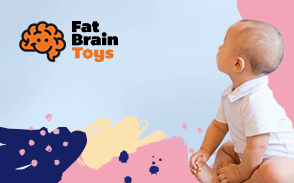 Since the toy will make the various sounds, it will engage a child’s hearing and draw their interest. Kids are fascinated with garbage trucks the way these sound and the way these function. So, no doubt this little truck is sure to be a hit. A set of small miniature vehicles that give a child a chance to create their imaginary city. The cars consist of several various models of transportation both recreational and commercial. Recreational vehicles include a jeep, a land rover, and a pickup truck. While the industrial models include a construction vehicle, two emergency vehicles plus a garbage truck. If that isn’t enough, the set consists of two other modes of transportation that don’t fall under the category of cars but still add to the overall experience, which is a snowmobile and a helicopter. All of the vehicles in this large pack are less than two inches in size but are realistic in features. Let a kid’s imagination hit the road and take flight with this set. Would also make for hours of play for a group of kids such as siblings to interact in a world all their own. Will provide excellent motor skills because a kid will be grabbing hold of these little cars and also hold these in the palm of their hands. Perfect for taking on road trips or playing in backpacks to play with while away from home. Ideal not just for play but for collecting. A set that will be something a child could treasure for years to come and well into adulthood. An ideal toy set for the budding marine biologist who has a desire to explore the depths of the sea. The set features a submarine that not only closely resembles the real thing but has similar features as well. The brightly colored sub will indeed float on water. Fill the removable tubes with water, and it will be able to submerge as well There is also a retractable arm that will grab hold of things such as the included rubber squid. The rubber squid has features of its own such as suction cups on its tentacles that allow it to cling to things such as the submarine. It also has the ability to squirt water making it an excellent squirting toy as well. Fun toy to use in the bathtub. It can be fun to use in a pool as well, or even at the lake. Colorful enough to be visually appealing and sharpen a child’s visual perceptions. Right components to quickly grab hold of and to get a good grip on to work helping to hone gross motor skills. Matchbox is mostly known for their cars, so it’s nice to come across another type of vehicles that lives up to that standard. Your little one is ready for their first rescue mission with this Matchbox Rescue Headquarters Playset. The combination fire and police station features a tower with working lights and sounds. A functional microphone allows kids to call in the emergencies to their first responders. Firemen can race to the scene in their firetruck, or police can chopper in with their helicopter. Dual ramps launch emergency vehicles from back to front and the side ramps as well. This set includes extra accessories as well to make imaginative play extra-realistic. Kids can set up flames, road cones, and barriers for the heroes to navigate around. Role-playing games help boost children’s confidence, as well as their creative expression, and many social skills. The Matchbox Rescue Headquarters Playset is fit for all kinds of heroic fun! The Rescue Headquarters Playset gives kids an optimal setting to role-play as some real, local heroes. It has tons of fun features, such as the launchpads and working sounds and lights, and kids can use the microphone to call in creative emergencies of their own invention. A huge pack of the traditional small-scale die-cast cars that have been Matchbox trademark toy for over sixty years. The set consists of 50 different types of vehicles. Types of models found inside the cardboard box range from race cars, town cars, emergency vehicles, and construction vehicles. In fact, it would be hard to determine what a person will get in this huge grab bag of little cars because each package is random. The only thing that is certain is the amount and the fact that these will all be the beautiful quality detail work found in Matchbox miniatures. Different types of fantasy fun await a child with this versatile pack. Kids can have all sorts of various adventures from pretending to be on Safari to pretending they are a bus driver. The possibilities are endless, as a child lets their imagination flow forth. Kids can also keep some of these at home while placing others in a backpack or pocket to take with them on the go. A set ideal for kids and adults who are kids at heart. Provides fun and surprises since no one knows what’s in store when buying this set. On the hunt for the abominable snowman? Well, his cousin the Yeti’s been spotted nearby, and the Matchbox Big Boots Yeti Catcher equips kids with everything they need to give chase. The truck transforms into a huge platform from which hunters and heroes can build their camp and launch attacks. A tracking system helps the party find the Yeti and stop his vicious rampage. Big Boots lands on their feet each and every time, so they’re constantly ready to spring into action. This kit features two Big Boots figurines, a Yeti, a net, and the Yeti Catcher Truck. The truck is equipped with a plow, so it can forge ahead through the snow and straight to victory! Kids will see enhanced motor skills, hand-eye coordination, self-expression, and social skills when they engage with the Matchbox Big Boots Yeti Catcher set. The Big Boots series is a ton of fun. If you aren’t already familiar with it, here’s the basic breakdown: the miniatures are bottom heavy, so they’ll always land on their feet, and their playsets feature vehicles that flip them through the air and straight into action. Kids go crazy for that trick. Good starter set for the budding Matchbox car enthusiast. The set consists of nine different colorful models of diecast quality cars. So, what kind of models are there, well these will vary from racers to Each of these has movable wheels that makes them ideal for any standard toy racetrack. Suitable for use with any of the quality Matchbox accessories as well. If that isn’t enough this set also includes one car that is exclusive to this set only and not available in any other Matchbox car set. Visually appealing with the bright shiny colors to grab a child's attention. Will provide a kid with better hand coordination as they push the little cars. A child can also grab hold of the vehicles which will offer better motor skills. Good set to give to more than one child and to provide hours of interaction in play. A kid can never have too many toy cars. The set gives them a right amount of cars to provide fun car play anywhere. The Matchbox cars may be close to real life models, but this toy garage is like none we have ever seen in real life. Not only is this a four-level garage where a child can take their Matchbox cars down the spiral ramp but also use other interactive features. Inside the parking garage is an actual car wash where a child can stop to pretend to wash the car. If their vehicle should need gas or repairs, not to worry because there is also a gas and repair station waiting to be used to load the car up with fuel. As for supplying the Matchbox cars to use in the garage, the set comes with a little Matchbox truck included so, the fun adventures can start immediately. Sharpens a child’s imagination and creative skills. Provides gross motor skill abilities as well, since a child is placing the small cars in various areas. If a child wants to take part in assembling the toy it there will be cognitive benefits as well, such as problem-solving. A beautiful accessory for not just the Matchbox cars, but other small-scale vehicles Full of numerous features that are sure to occupy a child for hours. All aboard! This Marine Rescue Shark Ship is ready to hit the high seas for some serious adventures. The playset is good on land and sea; set it afloat in the bathtub or the pool, or roll it around on the floor or table. It can launch cars multiple ways, and features secret passages, as well as two water-safe cars. The shark is chomping at the bit to eat those rescue vehicles though, so watch out! With a crane arm and a helicopter toy, the boat can do some serious damage to those sneaky sharks from the air. A water cannon and floating raft enable rescuers to set out to sea and save other sailors as well. This mega-sized playset features lots of different fun interactive mechanisms. Kids will see an increase in motor skills and coordination, especially as they pull levels, push buttons, and snap pieces into place to play with this rescue ship in its many, versatile forms. Too many toys out there can roll around on the grass and the floor, but rust when they’re introduced to bath time. This set is sustainable in water and on solid land and features a ton of cool interactive abilities. Kids will love shooting water from the canon and operating the giant crane arm. At first glance, this may look like a toy copter set that a child can use to have their fantasy Jurassic adventure. But looks can be deceiving, yes this is indeed a way to have a dinosaur adventure but not necessarily using a helicopter. Why, because this toy comes with all the part necessary to create more than one quality vehicle to go dinosaur hunting. In fact, there are enough parts to create up to 25 various types of transportation needed to get the job done. Kids can make not only a helicopter but a plane, a boat, and a jeep just to name a few. Adding to the interactive adventure is two little action figures and the T-Rex that they are out to hunt. Imaginative and creative, allowing a child to take one toy and make another. Good cognitive type toy that gives a kid a chance to supply problem-solving skills. Sharpening gross motor skills is also obtained a child put the components together and then plays with the toys. Kids love dinosaurs, and they like to build things. . So, this set is sure to be a hit. When taking a closer look at Matchbox cars and toys, we discover that there is a good reason why this toy brand has stood the test of time. There are actual benefits in playing with the Matchbox cars and the toys as well. These will not only occupy a child for hours of play but during doing so a child also will be enriched with specific developmental and life skills. While playing with Matchbox toys, including Matchbox cars, kids engage their hands. Even with the simplest of gestures such as a child pushing the car in a specific direction. They can also hold the toy in their hands, guiding it along. While doing so, a child engages their hand muscles and also learns how to make hand movements. A good lesson for them in hand coordination, helping them to understand even at a young age how to grab hold of something such as a handle or a doorknob. Imaginary play is vital to a child’s overall development. Especially now in the technological age. Toy cars, trucks, boats and other modes of transportation will genuinely engage a child’s imagination. They can pretend that they are in a car race or pretend in the sandbox that they are working at a construction site. They can play in the bathtub pretending that the submarine is going to look for undersea life. The possibilities of imaginary play are endless, and through imagination, a child can tap into their creative side. Using their imagination, they can explore different avenues, so providing a child with toys that foster imaginary play is essential to their overall development. Matchbox toys and indeed the sets of Matchbox cars are the right way for kids to interact at play. Siblings can have fun together with the various types of vehicles. Kids can also interact with friends sharing the multiple models of Matchbox cars. During these interactions, a child will also develop better language skills and be able to communicate better. This makes such play ideal for kids who are toddler age to engage in. The diecast Matchbox cars are not only good for play but also as collectibles. Kids who learn about collecting learn about nostalgia as well. Keeping a collection and growing it along the way will help create memories and also give a child an outlet. Also, in collecting Matchbox cars, kids can learn more about these little diecast cars, the various models and the multiple years that each model came out. Q: What year were Matchbox cars created and who created them? A: Jack O’Dell created Matchbox cars back in the early ’50s. He initially came up with the tiny little car because his daughter’s school has a rule that kids could only bring in toys small enough to fit into a matchbox. While working for a British diecasting company known as Lesney Products, he created the miniature scaled-down model of another Lesney toy, the road roller that he gave to his daughter. In 1953, the first three models of the Matchbox cars hit the market and were an instant hit. Q: Why are these called Matchbox cars? A: The name is pretty self-explanatory, as it comes from the fact that the diecast models were so small they could fit in a matchbox. In fact, the first models did come inside a replica of a matchbox, which was ideal for storage purposes as well. Q: Besides the submarine, did Matchbox come out with any other boats in their line? A: Yes, Matchbox may be known for their cars, but as illustrated above, they do provide other vehicles as well. That will include toy boats such as the submarine and other quality plastic toys that explore water fun. Matchbox also created the Sea Kings line which is a set of finely detailed diecast boats. For those into planes and helicopters, there is also the Sky Busters line of diecast models as well. Q: How did Mattel end up with the rights to the Matchbox toy line? A: In 1982 due to stiff competition, Lensey Products sold the rights to their Matchbox car line to the American company Universal Toys. Eventually, the toy manufacturer sold the rights to Tyco. Now comes the ironic part…Mattel, the company that manufactures Matchbox biggest rival–Hot Wheels–bought Tyco, and therefore they found themselves now the owners of the Matchbox car and toys line. Q: What are some of the other types of Matchbox building systems? A: Besides the Mega Rig Jurassic Copter which is featured here, there are several other types of sets available in the Matchbox building systems. Such as the Mega Rig Spaceship Shuttle and the Mega Rig Fire ruck. Each of these provides not just a fun-filled toy but a chance to build various types of vehicles that go with the overall theme. Q: What are the rarest and most sought-after models of Matchbox cars? A: There are five models of Matchbox cars that are considered to be some of the rarest to find. The models are of course vintage and are mostly for collectors, mainly because to obtain these it could be very costly. Not surprising is that the original and the first one ever made–the Road Roller–is highly prized by collectors. Here is the complete list of the five rarest Matchbox cars.